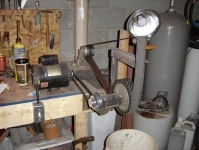 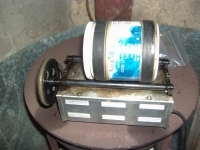 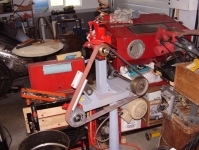 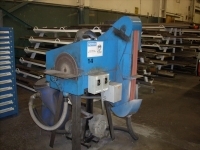 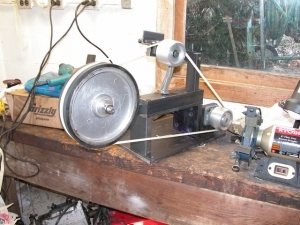 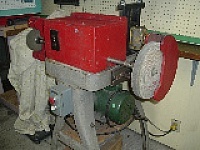 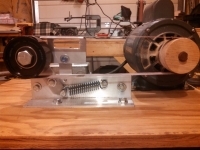 Belt grinder based on a KMG model. 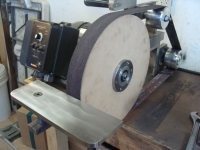 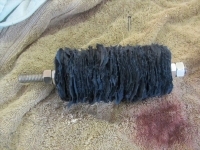 Has a 10" contact wheel and is powered by a 1HP 1725 RPM motor. 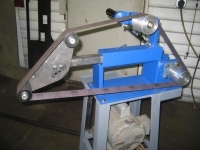 Utilizes flange-mounted pillow block bearings for the belt drive pulley and pillow block bearings for the contact wheel shaft. 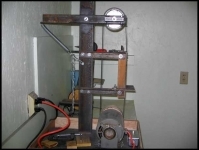 Frame and supports made from steel plates, flat bars, and square bars. 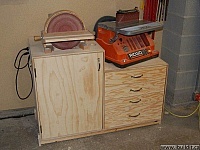 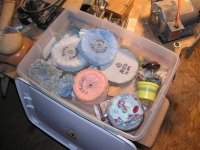 These seem so popular...I may need to create my own to see why.